We've looked at, well drooled over really, a few hot tubs in boats in our "Tub with a view" posts before (remember these beauties: here & here), but never anything quiet like this. 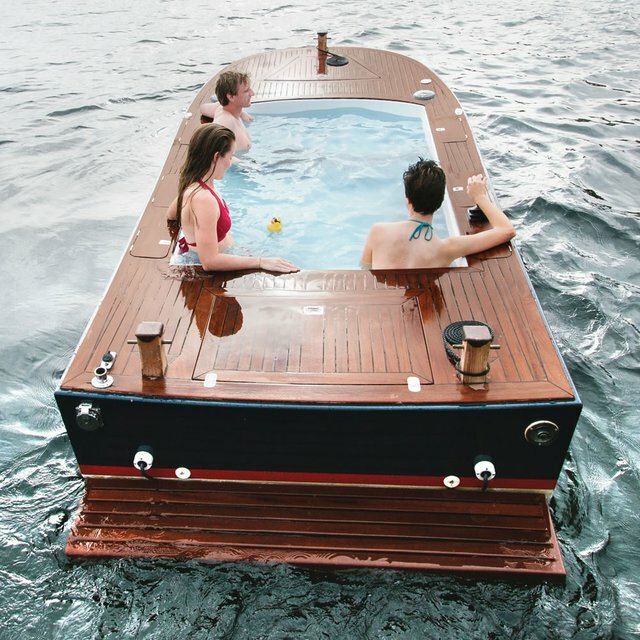 I can see these being a hit in the Caribbean - add a glass bottom to these hot tub boats and they'd be amazing. I don't know if I'd want to spend a whole day yachting in one of these, an hour or two would be alot of fun thought.